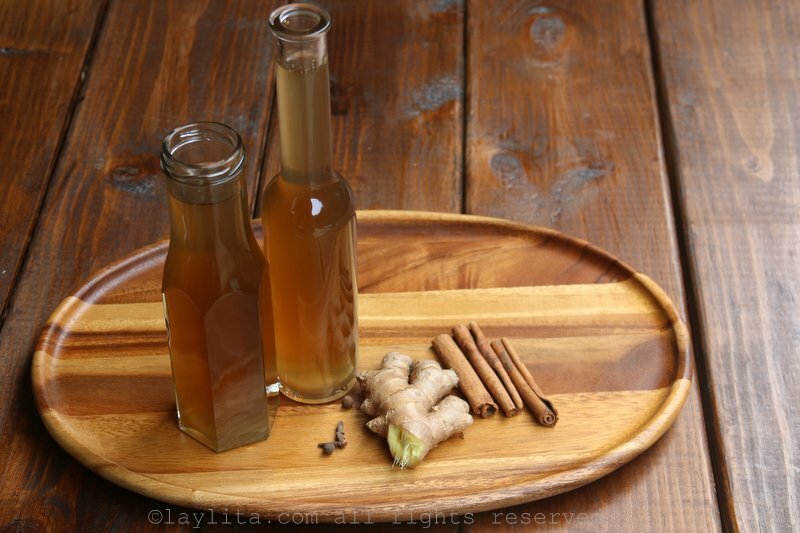 This easy to make spiced ginger simple syrup is prepared with sugar (or panela/piloncillo), fresh ginger, cinnamon, cloves, all spice, and water. 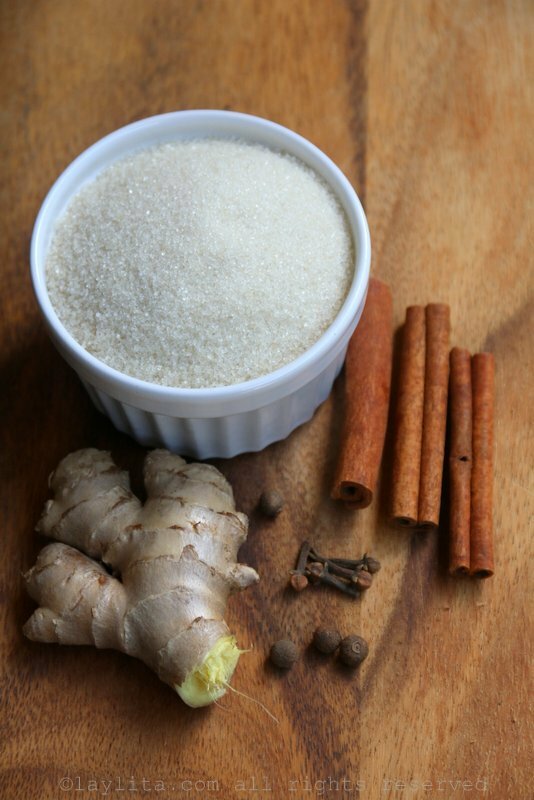 I originally made this ginger simple syrup to spice up my hard cider sangria recipe. 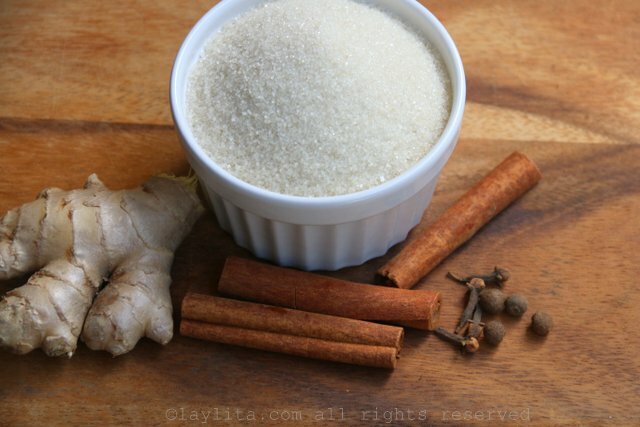 I made more than I needed for that recipe and have since used the rest of it to sweeten drinks, it works for any cocktail where you want a hint of spice flavor as well as for tea and coffee. 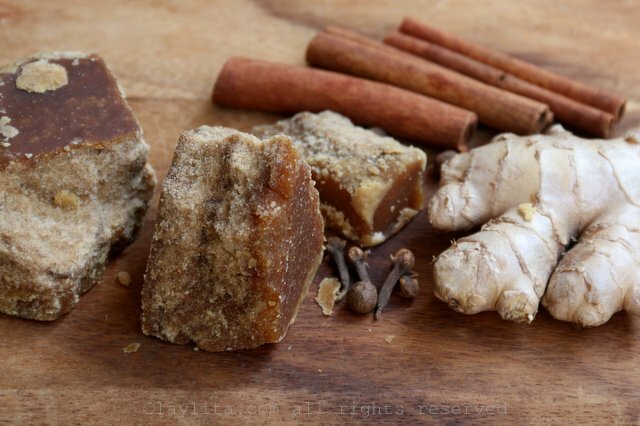 This spiced simple syrup can also be made using panela or piloncillo and will have a richer more intense flavor, similar to miel de panela. 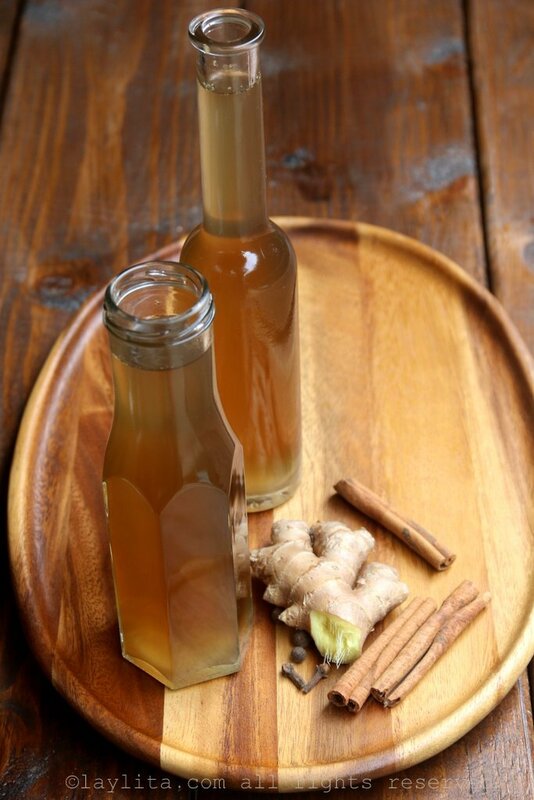 The panela or piloncillo spiced simple syrup will work great as a topping for pancakes, waffles and even cakes. 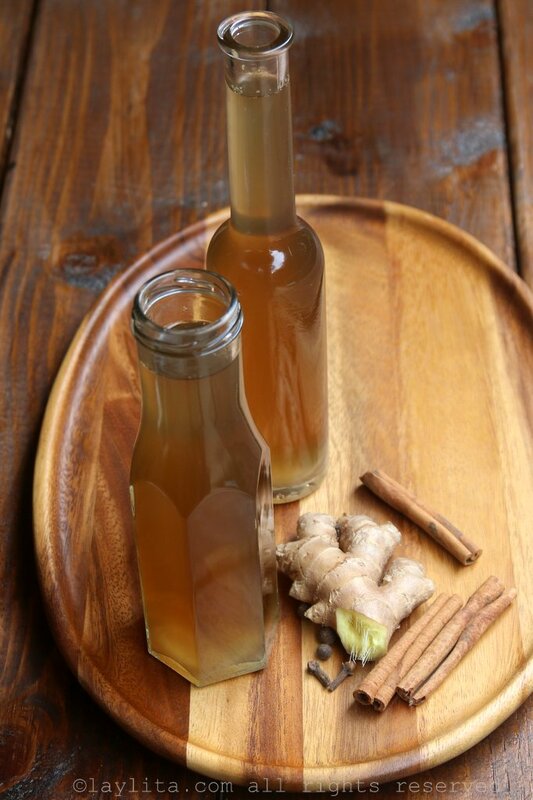 Homemade spiced ginger simple syrup made with sugar (or panela/piloncillo), water, fresh ginger, cinnamon, cloves, and all spice. 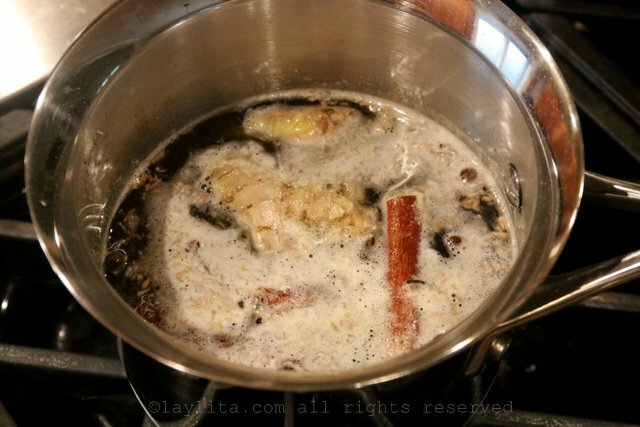 Combine all the ingredients in a small saucepan and heat over low-medium heat. 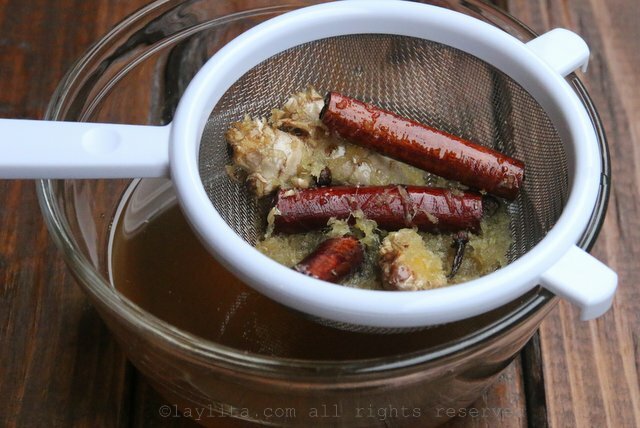 Let the syrup cool down and strain to remove the ginger and spices.